Post-consumed products from paper, raw or plastic materials can be recovered, processed and recycled for reuse in various industries. Recycling is a process to change waste materials into new products while preventing the waste of potentially useful materials, reducing energy usage, reducing air pollution (from incineration) and water pollution (from landfilling). For example, used office paper would be converted into new office paper, or used foamed polystyrene into new polystyrene. Composting which is the process of recycling organic waste materials into a rich soil known as compost, returns nutrients back into the soil in order for the cycle of life to continue. Finished compost looks like soil–dark brown, crumbly and smells like a forest floor. fruit, vegetables, meat, poultry, seafood, shellfish, bones, rice, beans, pasta, bread, cheese, and eggshells, oyster shells, burritos (without foil wrappers), etc. This includes paper plates, paper coffee cups, and “bio-plastics,” which look like plastic but are made out of corn, soy, potatoes, or other organic materials. 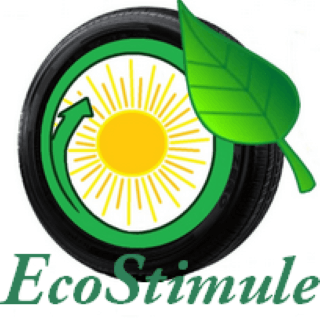 EcoStimule © 2016 All rights reserved.